They say a picture is worth a thousand words. How much is a video worth? A million? The internet started out as a way to share documents — text documents. But, it wasn’t long before people want to share other forms of content including pictures, music, and video. Today, a website is as likely to carry non-text media as it is likely to carry text content. So if you are planning a media-heavy website, what hosting considerations do you need to take into account? First, let’s look at what different types of media you might be hosting and what hosting features you need to support those media. Who's Best for Media Hosting? We think SiteGround is the best choice for Media. “Media hosting” suggests a site owner storing and delivering a lot of images, audio files, and videos, and providing them to an audience as their primary content — as opposed to sites who only a few media resources used to supplement primarily text-based content. If you are mostly offering site visitors text-based content, you likely do not need to look for special media hosting. Onsite or Offsite Media Hosting? It may seem obvious, but there are two ways to handle media hosting: host the media content yourself or host it somewhere else. There are pros and cons to each, which we will take an in-depth look at below. What is Offsite Media Storage? Offsite media storage refers to storing media files with a third-party website or host. There’s no one single media hosting service that works well for all types of media — each format has its own primary service. Here are a few examples. All of these services provide ways of embedding media hosted with them into your own website, and they all have integrations with the most popular Content Management Systems such as WordPress and Drupal. What is Onsite Media Storage? Onsite or local media storage means you are storing video, images, or audio files directly with your own host or on your server. This gives you complete control — for better or for worse. 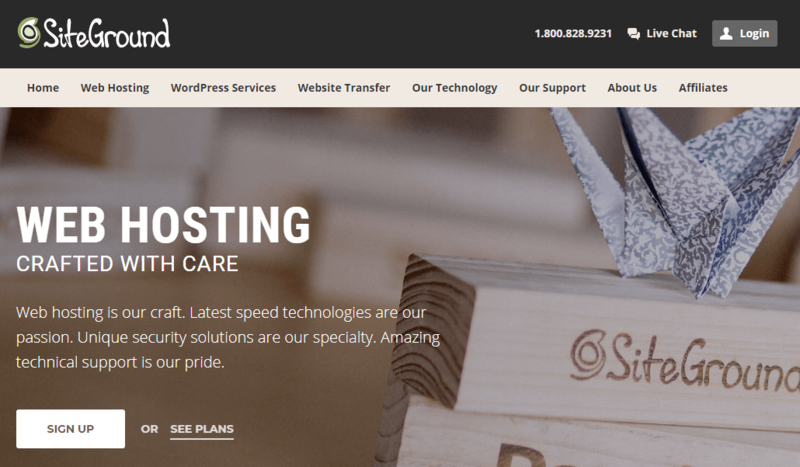 Why Use a Third-Party Media Hosting Provider? It can often be advantageous to host your media content somewhere else, with a service provider other than your own web hosting account. The biggest reason is to save on bandwidth and storage. If you are on a VPS plan, you likely pay for both of those or have a monthly quota. But, I Have Unlimited Bandwidth and Storage — Am I Safe? On so-called unlimited shared hosting, you might not be told what your bandwidth limit is, but you almost certainly have one. If your site gets a lot of traffic, and those visitors are watching a lot of videos, you’ll hit your limit pretty quickly. Loading content from two places is faster, as the browser can connect load resources from two sources at the same time. Major media providers have a much faster connection than you can get on a web hosting plan. They’ll be able to diagnose problems more quickly. These providers have optimized CDNs for faster delivery. Their staff have more experience hosting media efficiently. 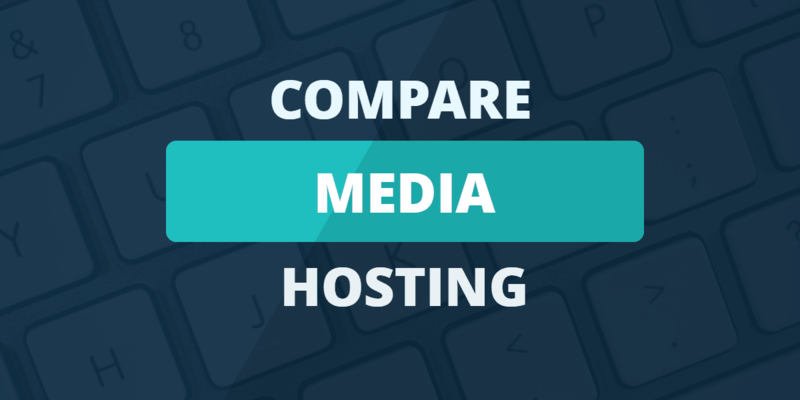 Here are a few more reasons why you might choose third-party media hosting. Besides speed, there’s also major convenience with regards to format. Video providers like YouTube and Vimeo automatically generate multiple versions of each video — different resolutions and sizes — to load on different devices or with different download speeds. Replicating this kind of behavior on your own — generating different video formats, serving them responsively based on media queries — would be a major undertaking. Flickr provides a similar feature, generating multiple image sizes for each uploaded image. Having someone else host your content means that it will be more reliable than rolling your own hosting solution. YouTube, for example, has been around for years. They’ve built up good networks to get your content from their servers to viewers without excessive buffering or dropped connections. YouTube is backed by Google with datacenters around the world, so it is hard to match their economies of scale. Another benefit to third-party hosting is that it provides an avenue for new people to discover your content and, ultimately, you. All media hosts have built-in social sharing, search, and browsing features that make it possible for your media to end up in front of people who otherwise would never see it. It’s also possible that this will provide an SEO benefit. Spreading your content around to well-respected media sites gives you the opportunity to place links back to your site along with your content. This will improve your rankings with companies like Alexa. It isn’t clear how much weight search engines place on this sort of thing, but it does provide some SEO benefits. If nothing else, you should consider the price. It doesn’t cost anything to upload a video to YouTube. With the ability to grow organic audiences quickly, it makes a lot of sense to make your content available there. You can even monetize your videos by having YouTube run advertisements before they start. You can also choose the third option of hosting content on your site and posting content on YouTube. In this case, you can use YouTube as a kind of preview for the content on your site. For example, Netflix might seem like a competitor to YouTube, but it posts trailers of new shows on there to entice viewers to its own video service. When the web became popular, sites distributing audio or video would have users download audio or video files directly from the website. The problem with downloads is that they could be slow, especially over dial-up modem links. The other problem is that people would then have copies of audio or video files cluttering their hard drives that they didn’t want. Security could also be an issue. Enter streaming media, which didn’t require downloading. Along came streaming media. Streaming allows users to receive an audio or video file without having to download the whole thing. One user might be watching a movie on Netflix, while another might be listening to music on Pandora or Spotify. A stream can either be a prerecorded media file played back at the user’s convenience or it can be live streamed, such as a special event. What are the Benefits of Streaming Media? Streaming is so convenient that it’s started to replace movies on DVD and Blu-Ray for many viewers. The availability of set-top boxes like Roku and Apple TV are accelerating the move toward streaming since viewers don’t have to sit at their computers to binge-watch the latest shows on Netflix. People were happy to avoid late fees with the original DVD-by-mail incarnation of Netflix, and now they don’t even have to drop the discs in the mail when they’re done with them. Are There Downsides to Streaming Media? The downside to streaming is that it requires a lot of bandwidth. A standard-definition video requires a connection of about 2 megabits per second to avoid skips or buffering, while a high-definition video needs about five megabits per second. With 4K video coming on the market, bandwidth needs are only going to increase in the future. Bandwidth and storage are a function of your hosting plan — you will want to steer clear of discount shared hosting providers, as they will not scale well if you are serving up a lot of videos or audio. A VPS plan will usually be a better plan — especially a scalable cloud hosting type of plan that will allow you to grow your traffic. A cloud hosting plan lets you pay for less usage during off-peak times and to burst when you get a lot of traffic. You won’t pay for bandwidth or storage space that you won’t actually use. The flexibility of cloud computing has driven even Netflix to abandon most of its datacenters in favor of Amazon cloud hosting. If you have a large number of media files, then you have large storage requirements. Ideally, you would have unlimited storage but a high-traffic, media-heavy site isn’t going to come cheap. If you plan to host a lot of media, you’ll want as much disk storage space as you can afford. Content management is a function of the software that you use. The major content management systems — WordPress and Drupal have good support for media management. ZenPhoto is a good option if all you want to do is display your pictures. MediaWiki works well if you want to build a media library within the context of an open source community effort. Some content management systems work better with certain hosts, so this is worth keeping in mind when selecting your host. The last thing to consider with media hosting is a Content Delivery Network or CDN. A CDN attempts to improve the performance of media streaming by locating servers that are geographically close to the user using sophisticated location algorithms. If you specialize in streaming media, you’ll either want to build a CDN of your own or contract with a provider like Akamai that has a lot of experience with CDNs. A hosting provider with a CDN will be cheaper than building your own network. Building a CDN network will require you to acquire dedicated servers and place them in the relevant data centers in exchange points and in ISPs. That takes a lot of time, money, and negotiation skills. Hosting companies that specialize in media are going to be a lot more experienced with this than a site that’s just getting started in media. You can build a CDN over a cloud network to get rid of some of the overhead since you won’t have to wire up physical servers. It’s still better to start smaller and then build your network gradually as your site gets more popular, whether you use dedicated servers or cloud servers. If you integrate your CMS or hosting plan with a CDN, you can manage your media as if it were being hosted on your own site, but actually, have it delivered via CDN. This provides some of the benefits of third-party hosting (speed and bandwidth savings), while letting you keep control of your media. With a media site, bandwidth and storage are the main considerations. You want the most transfers and storage for the least money possible. If you’re building your own network, you’re going to want more control over your environment than shared plans will give you. Cloud plans are going to be what you want. If the cloud is good enough for Netflix, it should be more than good enough for you if you’re new to building a media-heavy site. I like Siteground because it has an entry-level cloud plan with 20 gigabytes of storage and five terabytes of transfers at $60.00 per month. You won’t be able to stream as nearly as much as Netflix at that level but you do get 24/7 support to get your site back online if there are any problems. They also have a free CDN for efficient throughput. 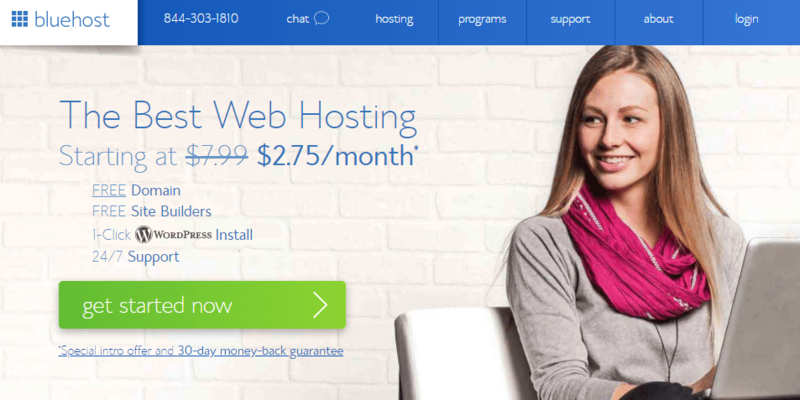 BlueHost has cloud plans starting at $6.95 a month. The plans come with unmetered bandwidth, which is particularly appealing if you want to run a streaming site. They also have a CDN for fast streaming. Storage space in unmetered on the higher tiered cloud plans. This is especially appealing since media files can be large. A2 Hosting has unlimited bandwidth but only 20 gigabytes with its VPS option. This unlimited bandwidth is useful for a popular media site. Despite the limits on storage space, the performance will be very good since A2 uses SSD drives across its entire range. This will help improve performance when downloading or streaming media.